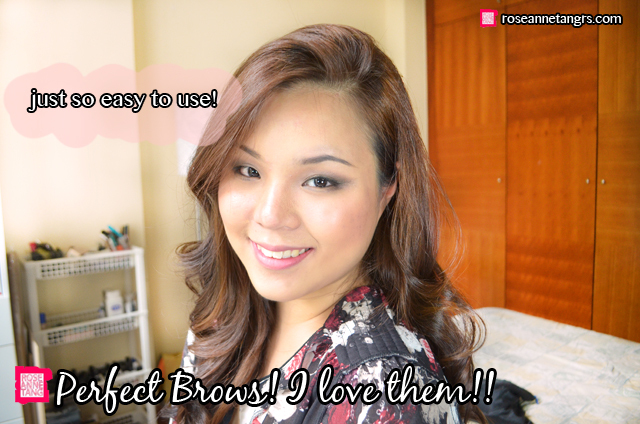 It’s probably something that most of us forget but no make-up look is complete without perfect eye-brows! It’s so important because it frames your face and when done properly, can make you look skinnier, more symmetrical and just overall gorgeous. 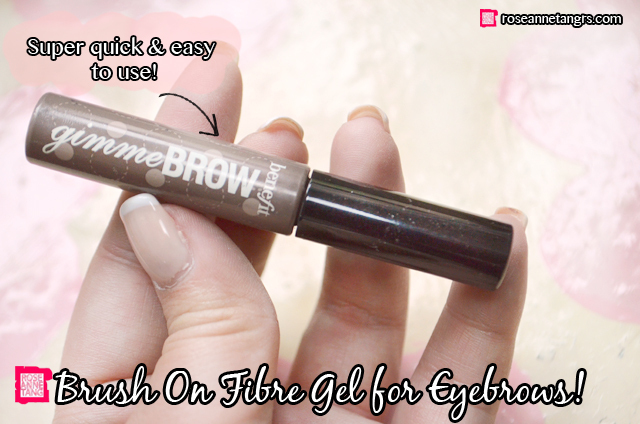 I’ve been absolutely a big fan of the new Benefit Gimmie Brow Brush-on fibre gel which is like an all in one. 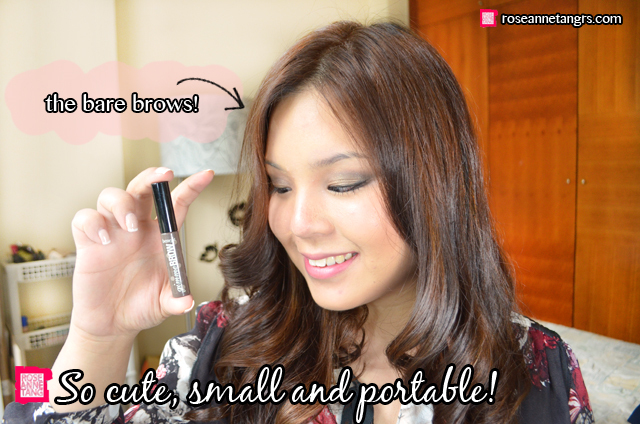 It defines your brows and actually comes in 2 shades, and because it’s a gel – it will keep your hairs in place too. I also love how it’s so portable. It comes in this little tiny tube that I can bring on the go whenever my brows need a touch-up – especially when I have them plucked or threaded and the therapist removes all my brow makeup. 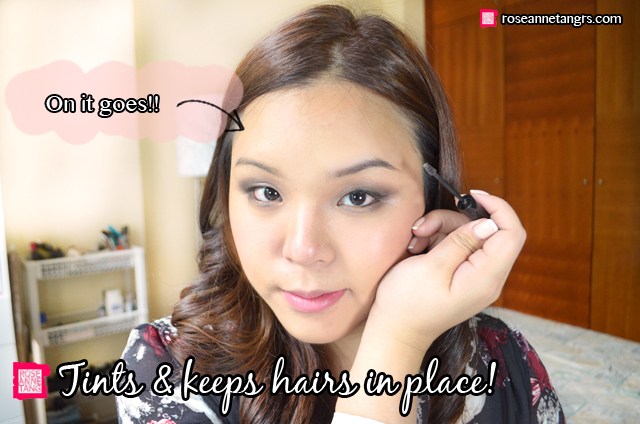 I usually use a brow powder and another angled brush to draw my brows and fill them in. I love how this is an all in one though and it takes one step to get really nice looking results. I was a bit hesitant at how dark it was going to be though. These are my bare brows. I went to this random threading place in the neighbourhood who was like five bucks and yep, I think they kind of messed up so know it’s not my fault ;P. I’m still comforting myself that it will grow back. In the meantime, I just have to add a little more makeup. 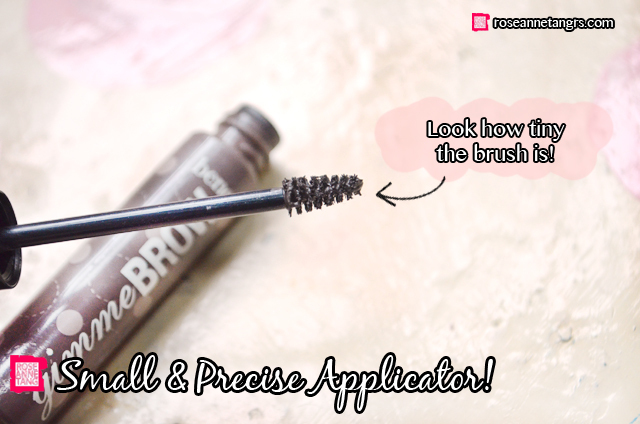 The Benefit Gimmie Brow claims to be water resistant, long-wearing, natural-looking and buildable! It’s for sure buildable. To achieve the intensity of color that my brows usually have. I usually stroke it about 3 – 4 times. It’s still tons easier than getting my powder out though. I mean, it’s like a liner. It’s so easy to use. The brush is super tiny, how cute right? There’s not much after that really! I like how it’s buildable too because you can decide what look you want. If you want a softer appearance – maybe brush it on 2 or 3 times, but if you want darker brows, then maybe 4 to 5 times. I am really a fan of this and it’s something you should for sure check out the next time you’re at a Benefit counter! Hope you liked this post! How do you normally do your brows? Tutorial & Review: Urban Decay Electric Palette! Tutorial: De-Potting my Urban Decay Primer Potion! Is it Worth it? This looks really cool! 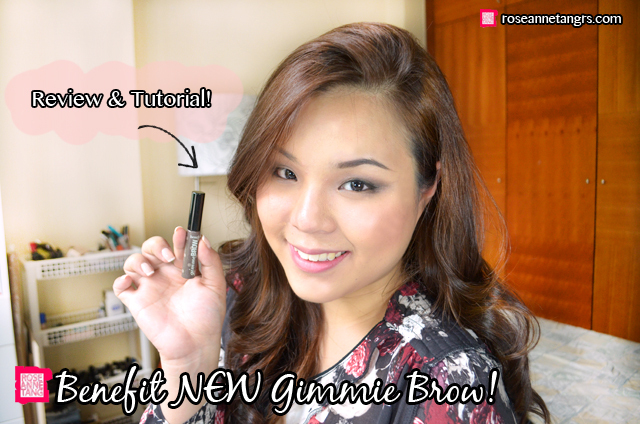 Do you think it will work for sparser and thinner brows as a one stop solution too? it should! but it may take a few more strokes than normal 🙂 as u can see i had a gap in my brow but it covered that well! it’s 35 SGD here in Singapore! will this work for bald spots in your brow? or do the fibres only cling on to brow hair? looks really great on you!